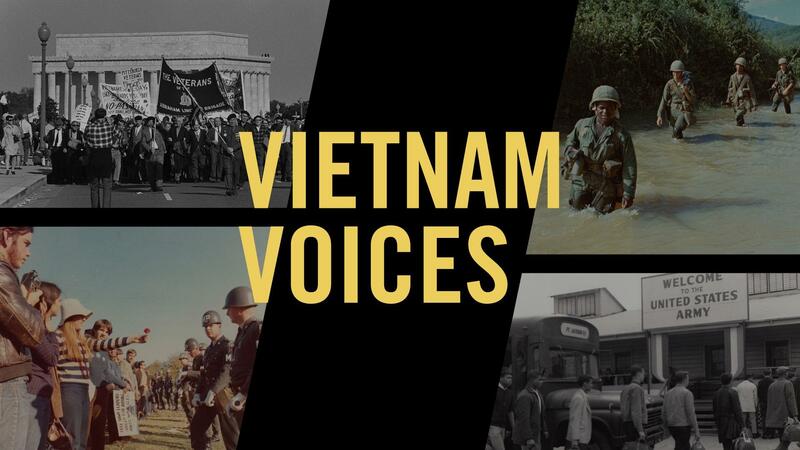 Students captured stories of local veterans, civilians and refugees who lived through the Vietnam era. From initial United States involvement in Indochina to the fall of Saigon, the American involvement in Vietnam and the Vietnam War lasted for more than 20 years. This timeline tracks some of the major points of the Vietnam War. It tracks political developments, battles in Vietnam, protests at home, post-war responses, and much more. This is a collection of moments from Vietnam to the United States to right here in Missouri and Kansas. If you are interested in a more detailed timeline, please refer to the Vietnam War Almanac (2009) by James H. Willbanks. © Copyright 2017 KCPT. All rights reserved. KCPT Veterans is an initiative of Kansas City PBS.